I’ve finally got another moodboard for you guys! I actually completed this one in January, but I’m glad I waited to post it because something about it just seems perfect for March and upcoming SPRING. This one is for a photographer that I’m working with, and she loves nature-inspired elements, soft colors, and earth tones. We decided that antique / vintage, and layered / transparency were themes to keep in mind moving forward. And also, hand lettering in some capacity (not hard to convince me of that!) I’m super excited about this one, you guys! It’s so gorgeous, it’s breathtaking! I’m so in love with the softness. Loving the whole vibe of this board! I love all the colors you picked. I use mood boards all the time. What exactly are mood boards? Boards with mood related colors on them? 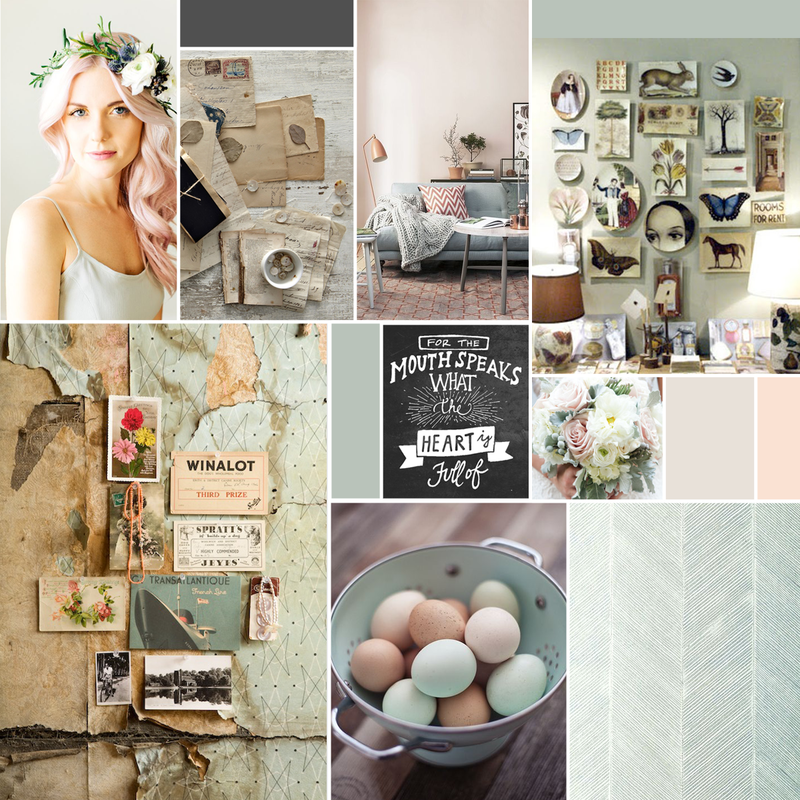 Generally moodboards are a collage of colors and photographs that together make a strong stylistic statement. I use them at the beginning of some of my design projects to make sure that the client and I are on the same page in terms of what overall look we’re going for.